Martyn Lawrence Bullard for Christofle. A childhood fascination with silver spoons led Martyn Lawrence Bullard down his path to becoming a designer. The Los Angeles–based creative has since moved on to devise pieces with slightly more glamour, such as his recent collection of crowns for the French silver house Christofle, dubbed Silver Kingdom. The handcrafted crowns come in two opulent designs: silver-plated with gold, and a sterling silver version produced in a limited run of 20 pieces. 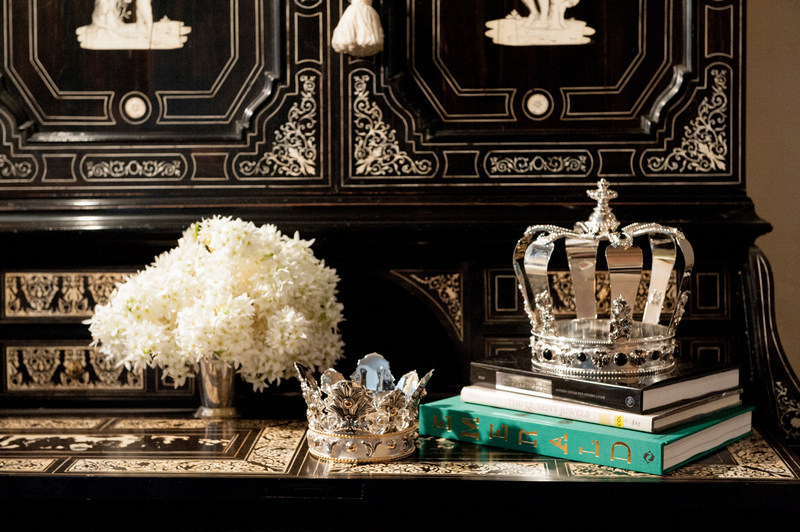 Influenced by the shape of the original French crown jewels—albeit with modern touches like customizable onyx embellishments—the collection is a fitting tribute to Christofle’s legacy as silversmith to France’s King Louis-Philippe and the House of Orléans.